The knockout combo of Denzel Washington and Robert Zemeckis launched the long-gestating film. 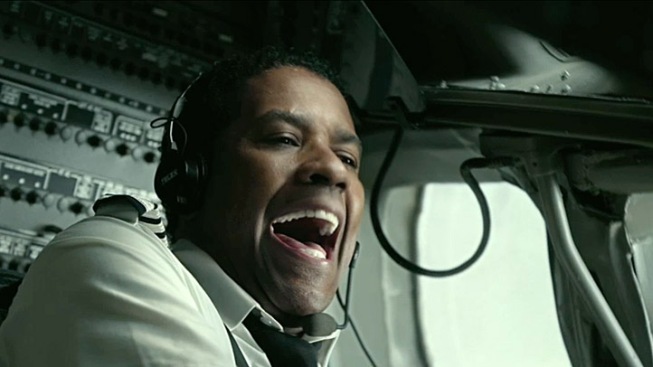 It took a long time for the film “Flight” to be cleared for takeoff, but when Denzel Washington and Robert Zemeckis booked passage, the project was allowed to soar. The film features the filmmaker behind beloved films like “Forrest Gump” and the “Back to the Future” trilogy returning to live-action after a lengthy stint in computer animation. Zemeckis directs the multiple Oscar-winner Washington in a dark, emotionally dense role as an airline pilot whose seemingly heroic, lifesaving act may be marred by his closet substance abuse. The cast and creative team reveal that the long-on-standby “Flight” got its wings due to two factors: a potent screenplay that couldn’t be put down, and having Zemeckis and Washington in the cockpit. 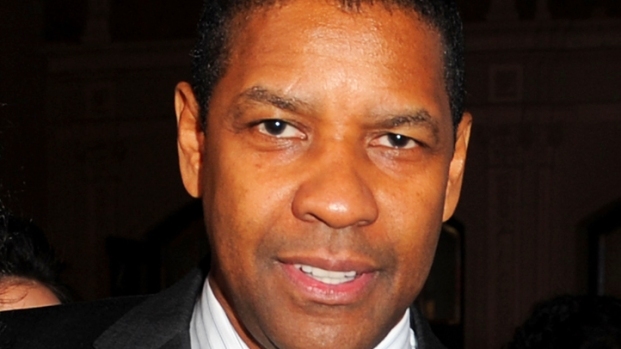 Denzel Washington: If it ain’t on the page, it ain’t on the stage. I read not a ton of scripts, but a lot of scripts and you read one like this and you felt like you read it in 14 minutes because you’re turning the page so fast you can’t wait to see what is going to happen! This was one of those scripts, and I had to have it. I had to be a part of it. It was a process for us once I got involved, and working with different people, but it was on the page – the guts, the pain, the tears. It was like Eugene O'Neill play: the tears were on the page…It’s really a film about addiction. He could’ve been a mailman or a talk show host, but being a pilot is a more extreme situation. Robert Zemeckis: The script was bold and it was audacious and I loved the complexity of everything. I loved the moral ambiguity of every character in every scene and every aspect of the script. And when I got to the stairwell scene on about page 40, I said, “Man, that is bold.” I said, ‘Can we actually do that?’ So that’s when it had me. John Gatins, screenwriter: I tried to make this movie for many, many years. I started writing the script 10 to 12 years ago, I tried to direct it a few times and it almost came together but kept falling apart. But for all the things that went wrong over the years there was a brief moment in time where everything kind of went right, where Denzel said ‘I want to play the part,’ and Zemeckis said ‘I want to direct the movie.’ Bob said ‘I want you to be involved in making the movie. Come with me to make it,’ which was an incredibly inviting thing to do, so I got to collaborate with him and have a voice in the process. And then everybody we went to, we got our first choice: Don Cheadle, John Goodman, Melissa Leo...It was amazing. John Goodman: Everything was pretty much in the script. I’d like to say that I spent hours in a room by myself basically constructing this [character], but everything was there: this really needy guy who carries a 7/11 around with him in his bag and has a lot of friends. Kelly Reilly: I’d already met Denzel when I had my screen test, so I’d gotten to read some of the scenes with him, and I already had a little flavor of what that felt like. But I’ve got to tell you, when I came out of my screen test, I was like ‘I don’t care if I don’t get this role, because that in itself was an experience that I will take with me forever,’ because to get to play opposite someone who is that talented – it’s a trip! I had to hold my own, but I love my job. I like a challenge. Denzel Washington chats at the New York City premiere of his new movie, "Flight." What is his secret to looking so young? Plus, what does he think about his daughter, Katia, working with director Quentin Tarantino? And, what is his new movie about? Melissa Leo: Denzel has a depth, a willingness to go there. A willingness to be there. Especially male actors can have a reticence about being an actor – “Maybe it’s a sissy thing to do” – but he’s got not reticence. He goes and dives in wholeheartedly. I know nothing about Denzel Washington, but I got to work all day long with Capt. Whip Whitaker. Justin Martin: He’s been a star my whole life. I guess a lot of people would be nervous, and I was when I first met him, but that’s my idol! That’s my favorite actor in the world, so to actually be able to work with him and fulfill my dream – I met him for the first time when I was 12 at ‘The Great Debaters’ premiere, and at time I had just gotten to do a movie called ‘A Raisin in the Sun.’ I asked him if he had seen the movie, and he said ‘Yeah, maybe one day we’ll get a chance to work together.’ He told me that when I was 12! I’m 18 now, so to have that finally actually come true was literally a dream come true for me. Zemeckis: I’ve always said that movies are kind of like love affairs. You know, like two people come together and if they’re at the right place at the right time, it clicks. That’s how I’ve always felt that I’ve connected with screenplays. It’s the romantic in me.